Ever watched a film and felt this person deserves a waxwork at Madame Tussauds? Well, that is exactly how I felt for the late legendary actor Sultan Rain, a Pakistani legend. The idea came to a fan while he was watching Maula Jat in London and a particular scene where Sultan Rahi visits Madame Tussauds. While there, he surprises his co-star, Aasia, with his waxwork. But that is not the reason why the fan wishes to see a waxwork of him – oh no. Sultan Rahi made an immense contribution to Pakistani cinema and his work speaks volumes. 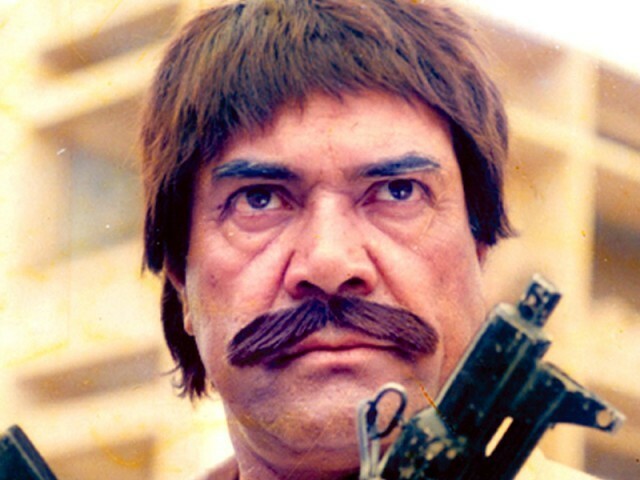 He is reportedly mentioned in Guinness World Records; acted in over 700 Punjabi films: won over 100 film awards, and gave hits like Maula Jat, Sher Khan, Chan Veryam, and lots more. Earlier this year, the fan contacted Madame Tussauds to notify them, that a Sultan Rahi waxwork would be a great addition and very popular among its South Asian visitors. He was later informed that, they received thousands of various requests from people each year and they would consider his request towards the end of the year when they plan for the 2015 waxworks. They have, as a result, added Sultan Rahi’s ICI in their ‘figure request list’ which is a great news for the Pakistani legend. Well, fingers crossed, if all goes well, a waxwork of Sultan Rahi could be coming to Madame Tussauds. This article is authored by Mr Attique Rehman. It appeared on www.showbizpak.com.